I’m always a little skeptical of SEO tools. 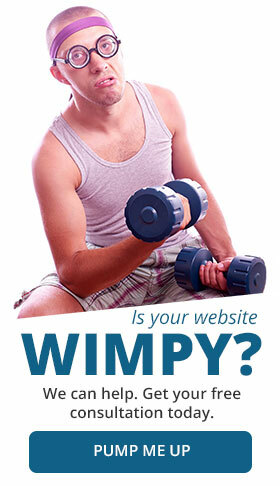 Most of them take the fairly complicated process of SEO and oversimplify it to the point of absurdity. Add in some janky interfaces, some out-of-date practices (like measuring keyword density), and some obnoxious integrations, and you’ve got a recipe for disaster. SEMrush, however, is another story. While I’m not a paying user (I’m more of an Ahrefs guy), I’m still a big fan of SEMrush’s approach. Their organic and paid traffic estimates over time can be extremely useful, and I love that they didn’t try to make the industry’s millionth all-in-one tool. The SEMrush Blog is great, too. 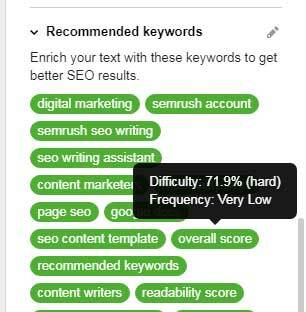 So, when they announced their SEMrush SEO Writing Assistant, I had to give it a spin. Here’s my quick take. Setup wasn’t terrible. Just head to the download page, log into (or register for) an SEMrush account, and then install the browser plugin. 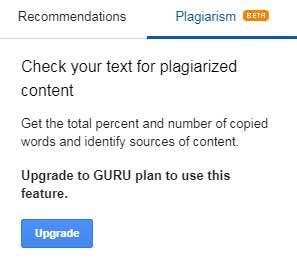 It’s available for WordPress and Google Docs, and I opted to try the Google Docs version. Once you’re in, just enable the plugin from a document’s add-ons menu, and then let it connect to an external template. After that, just pick your target keyword, and start writing. 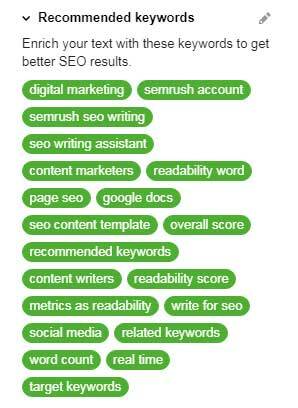 In this case, I picked the keyword “SEMrush SEO Writing Assistant review.” Let’s see how that goes. The writing assistant’s interface docks on the right side of the document, which seems to be pretty typical for Google Docs add ons. “Did you hear about the two thieves who stole a calendar? Somehow, this increased my readability score to 56.2, but explaining the increase brought the readability down to 54.3. Go figure. 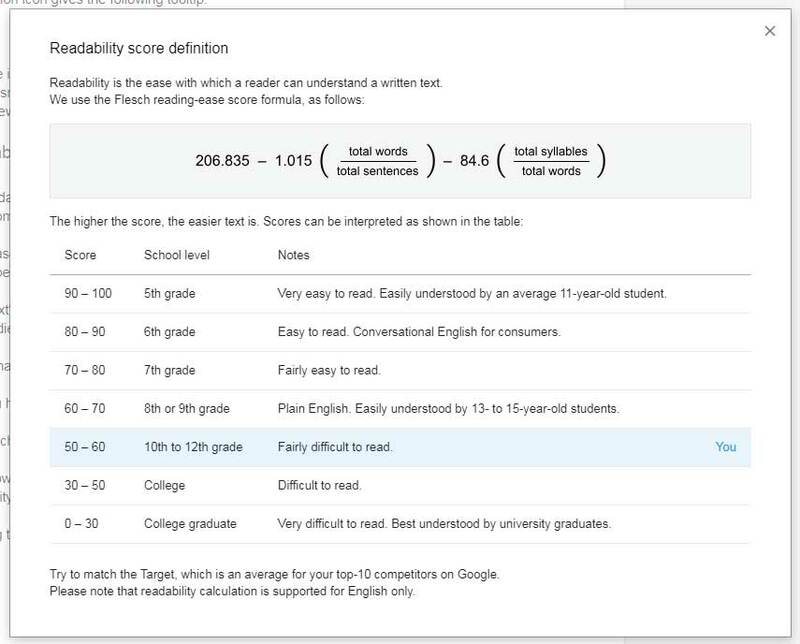 The Flesch reading-ease score formula isn’t new to SEO tools (the Yoast SEO plugin uses it too), but it’s still nice to include. This tells you how many words you have written, and should write. Currently it says I’m up to 598 words of my 592 word target, but it doesn’t include a tooltip. I assume the target is based on the average content length of other search results on page one for your target keyword. ‘Core of your text and all recommendations’ makes sense to me, but only because I already know what role a target keyword should play in content optimization. For everyone else, you might want to run that through the Hemingway app. 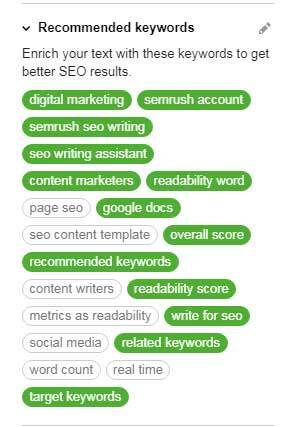 Once again, this section reminds me that ‘semrush seo writing assistant’ is my target keyword, and that I should use it. Now this is an important section. Generally, it’s hard to rank for a target keyword without including at least a few related keywords, because they demonstrate your expertise and coverage of the subject. 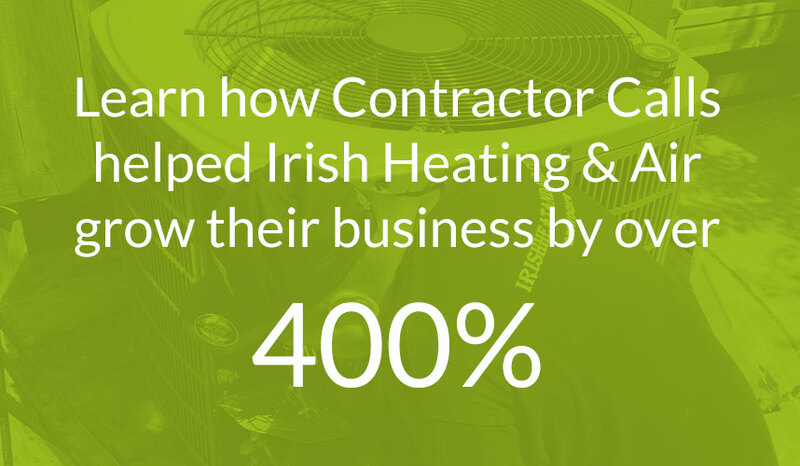 In English, that means good luck ranking a plumbing website without mentioning water heaters. I wish this section had a link off to a guide where they could explain the concept with a little depth, but it will have to do for now. There isn’t much explanation for these metrics, but okay. This may be the single best feature of the SEMrush SEO Writing Assistant. Using related keywords in your content really does help your rankings, which is something I have personally verified many times. While including a bulleted list of all your recommended keywords is obviously the easy way to accomplish this, I wouldn’t recommend it for most blog posts. I usually use LSI Graph to generate the initial set of related keywords, though SEMrush’s tool offers a much more casual, convenient option. How many times the target keyword was used in it. This is straightforward, sensible advice. 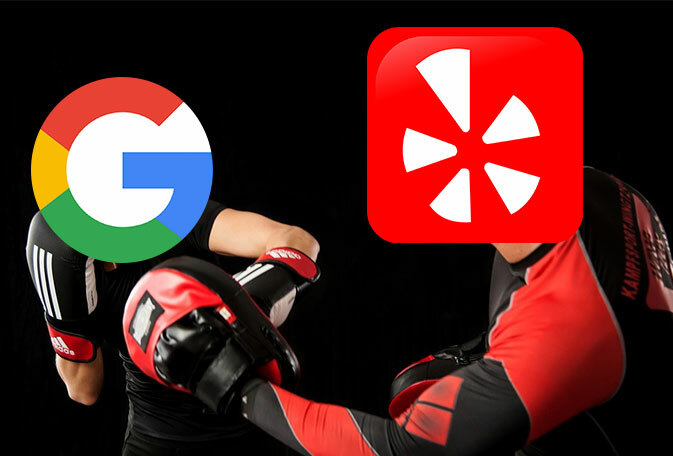 It might neglect other important factors, like including words that can boost your CTR, or giving you a snapshot of your competitors’ titles, but it will do. This list of extended recommendations is personalized to your target keyword and current document, and it’s not bad. 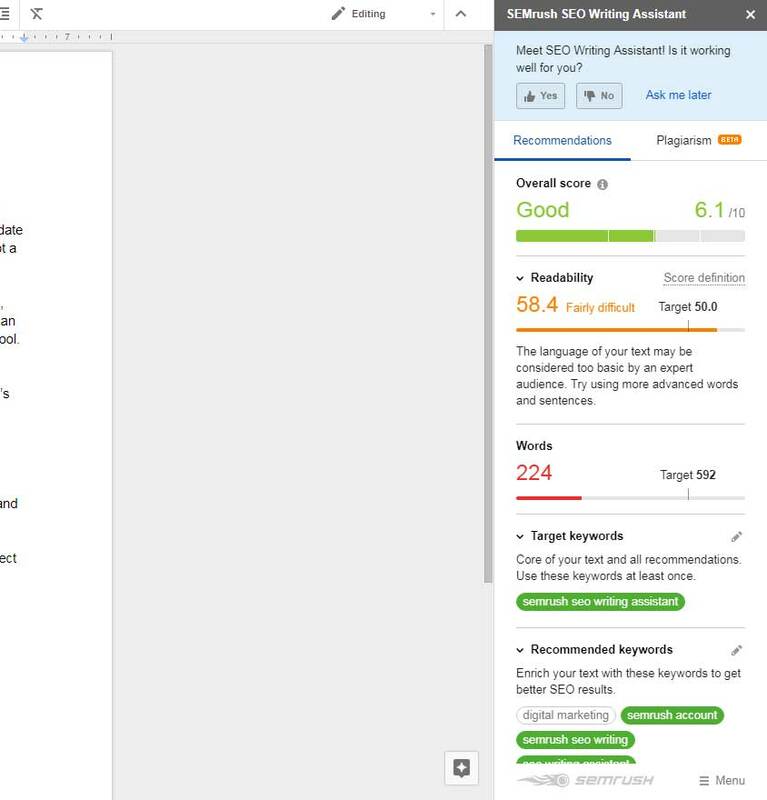 It gives you a couple more notes about formatting (such as recommendations for the page title and meta description), a recommended backlink target, and scraped content from each of your top 10 competitors, presented with your target keyword in bold. If you’re struggling to incorporate your target keyword into your document, this could be a real help. I haven’t tried the SEMrush GURU plan before, but it probably works fine. 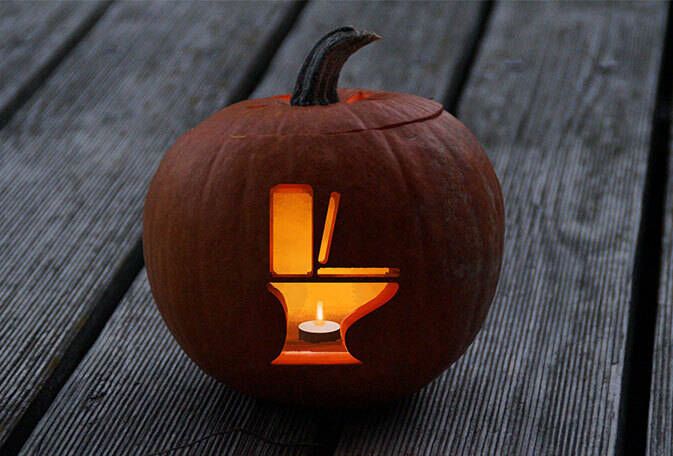 All in all, it’s not a bad tool. It gets a lot of the fundamentals right and doesn’t saddle you with bad advice, like “target keyword density.” It also doesn’t scare off new SEO users with too much information, like Yoast’s plugin can. Some of the features are genuinely useful. If you don’t know where to start with writing SEO content, this will generally put you on the right track. 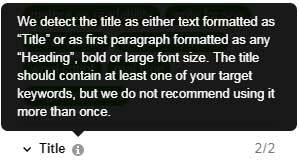 The way it handles “recommended keywords” might be enough for me to keep using the plugin. The plugin’s biggest weakness is probably its lack of clarity. The assistant makes no attempt to justify the target word count, doesn’t tell you how to “enrich” your text with those recommend keywords, and doesn’t say why you should care about the readability score. The inconsistent tooltips and descriptions don’t help, either. Fixing those, and linking off to relevant guides about each metric (the way Yoast’s plugin does) would make this tool much more user-friendly and all around useful. In the end, it’s not a bad start. I have a good feeling that it’s still a work in progress, and there’s nothing wrong with that. 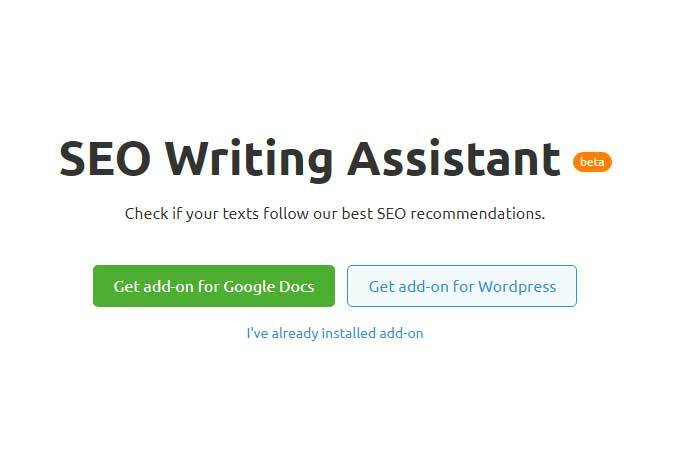 There are probably better on-page SEO tools for Google Docs out there, but using SEMrush’s SEO Writing Assistant while writing your next blog post definitely won’t hurt.